The Online Safety Group is focused on educating parents and their children about safe exploration and play on the Internet, and more broadly with technology. We produce free guides, as well books and training courses. Our community of Parents also comes together on AreTheyOldEnough.com and here on this site, to discuss the right age for their kids to play games and apps, life stages and TV shows & movies. And don't forget the new app, "tap me out". "Today’s kids spend a LOT of time online and they start early. Findings from many countries reveal three-quarters of preschoolers are already online and almost all teens are accessing the internet. When kids have more online exposure, they have more exposure to risk as well. As parents, we may see this every day with our own children and we’re naturally concerned. We might resort to worrying, not feeling we can really control the situation, and just hoping for the best." The guide comes with a number of free bonuses, including "A Guide Secret Messaging Apps", "How To Protect Your Kids From Online Predators" and "The Parent's Guide To The Dark Web". 3. Community: "Are They old enough?" Are They Old Enough is the answer for parents who care. 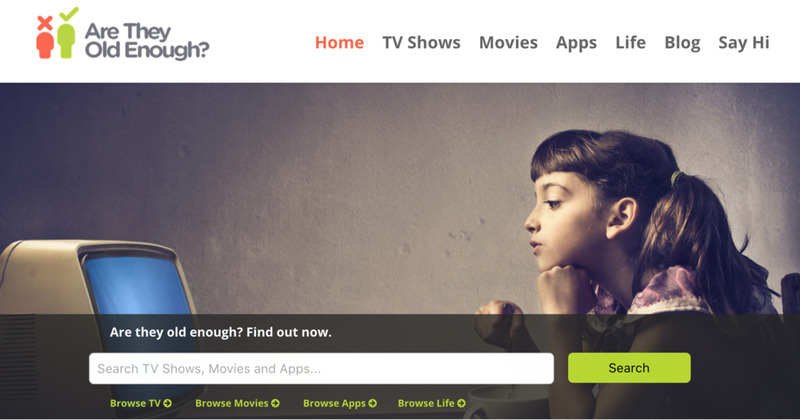 Search for a show, or browse the hundreds already entered by clicking TV Shows or Movies above. Tell us what age you think is right, and see the opinion of our other parents. It’s the insight you need to make wise parenting decisions when it comes to your family’s television.